The Radiance Of Being offers nothing less than a portrayal of the full glory of Catholic tradition. From an initial engagement with the insights of the natural sciences emerges a spiritual vision of the metaphysical depth and dimension of mystery to the cosmos, allowing the reader’s mind to awaken to the coherence, beauty, intensity of life, and depth of structure of the natural world—the holiness of creation and all contained therein. Conversant with Islam, Buddhism, non-dualist traditions, as well as myriad mystical elements and esoteric currents within Christianity, the author builds a brilliant symphonic work whose master theme is the Trinity. To the urgent questions asked—in response to the crises besetting the modern world—about the nature of reality and the meaning of existence, of what it means to be human, Stratford Caldecott puts forward a clear and compelling answer in language accessible to all: Being is radiant because it is a gift, not only from the Trinity, but also within the Trinity itself; and, in the end, the meaning of existence is love. You can find Fr Dominic White‘s review of this book in Second Spring Current. UK: Your order will be sent by Royal Mail (3 working days delivery aim). Please leave a message on 07821 844888 if you need an order expedited. 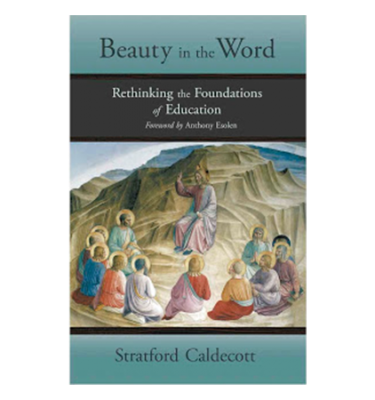 Stratford Caldecott is a great English visionary and a man of supreme courage. He defends Christian orthodoxy and yet contests any narrow construal of its character. In his new book, he takes this further through generous explorations of other religious traditions and bold engagements with marginal and esoteric currents within the Christian legacy. In short compass, this profound book, like no other, points the way forward for theology. Perhaps no one else would have been capable of striking such an exacting balance between steadfastness and humility as is achieved here. Yet it is just this difficult idiom into which Stratford Caldecott now calls all true believers. This wonderful new book is truly prophetic. 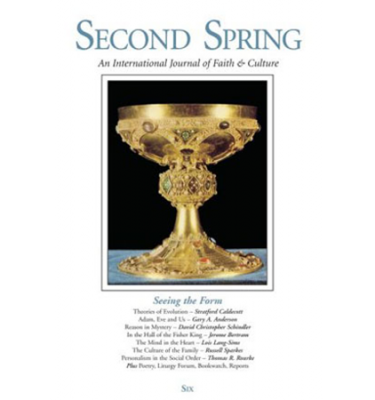 As Stratford Caldecott contends, in order to recapture people's imaginations, Catholic orthodoxy will need newly to reach for its full breadth and generosity, which requires us to consider more deeply thinkers that have superficially been deemed marginal, along with the spiritual masters of other faiths. He demonstrates the need for theurgic reenchantment and a renewed openness to the diversity of spiritual forces actually operating in the cosmos; a sense that all creatures must be supernaturally restored by grace in order to be again themselves, and in order that God may be God, as He eternally is. Stratford Caldecott here proves himself the supreme contemporary thinker of such mystery and such paradox. 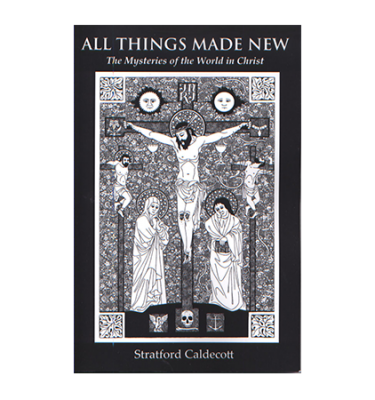 Stratford Caldecott’s new book is an outstanding achievement and a major contribution to the serious Catholic literature of our time. He offers a veritable feast to men and women of a philosophical disposition who thirst for the Knowledge of God, including a magisterial chapter on the teachings of Meister Eckhart, and another on ‘The Mystery of Islam’ that is quite possibly the best Christian commentary yet enunciated on this delicate subject. One wonders how the author could cover a spectrum of topics ranging from quantum physics to the theology of angels and do so with conspicuous mastery. He himself however gives us the answer: ‘The Trinity is for me the key to everything.’ And therein, I believe, lies the central message of the book, its most precious gift to the receptive reader. Stratford Caldecott's latest book is a true adventure of both mind and soul. It bravely, and wisely, brings into conversation disparate discourse, yet does so harmoniously and creatively. A call to truth, to beauty, and to the good, this is an exceptional piece of work—every other page introduces or reacquaints one with profundity and all its possibility. Highly recommended! The Radiance of Being is a beautiful collection of essays. 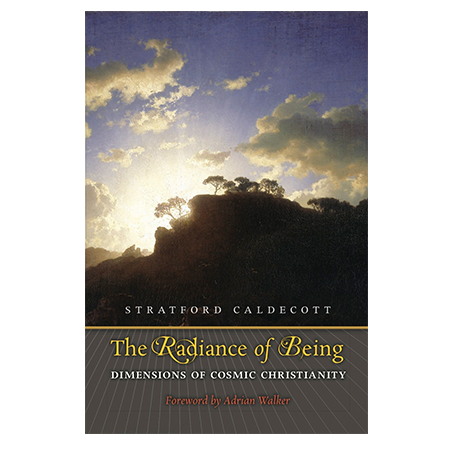 Caldecott offers his readers a theological cosmology that includes reflections on God, time and eternity, human persons, angels, and even a ‘theology of animals.’ He takes his cue from the anthropology of John Paul II which he observes is marked by a nuptial and Trinitarian structure. Dante, Aquinas, Chesterton, Tolkien, Bulgakov, von Balthasar and Florensky each add their own tones to the score. 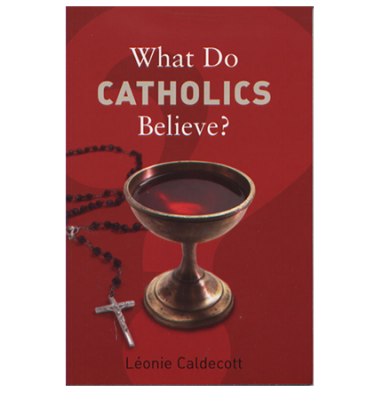 Faithfully Catholic, Caldecott is characteristically clear as well as generous in his judgments. This is a wonderful book by an agile thinker on a theme of great importance.